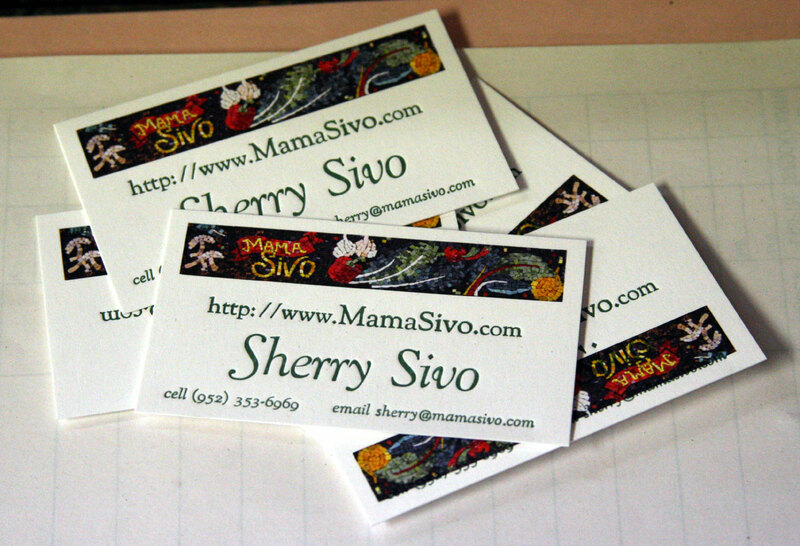 Sherry Sivo of MamaSivo.com asked us to put together a business card that had elements of the artwork she had designed for her blog and combine it with the look and feel of letterpress printing. 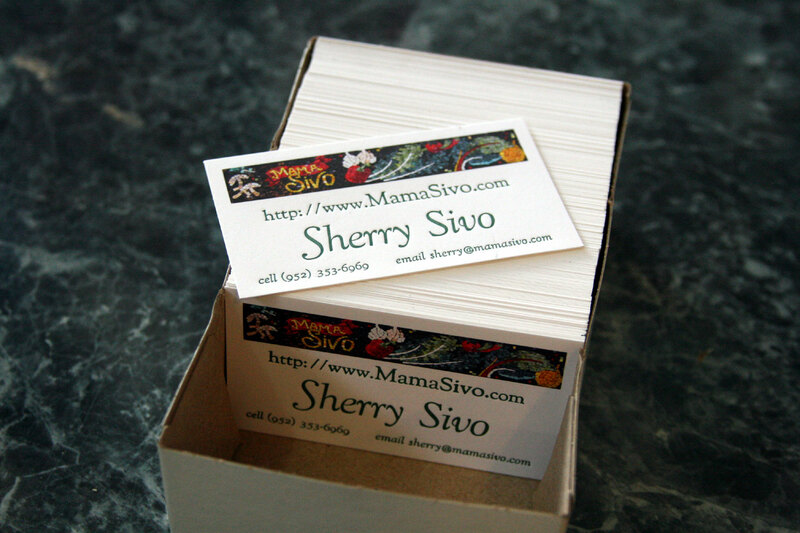 The results are a high quality photograph printed digitally on Classic Crest Solar White 110# Cardstock with her contact info set in several variations of Goudy Oldstyle type in a hand mixed Pantone 3435 uncoated green ink. 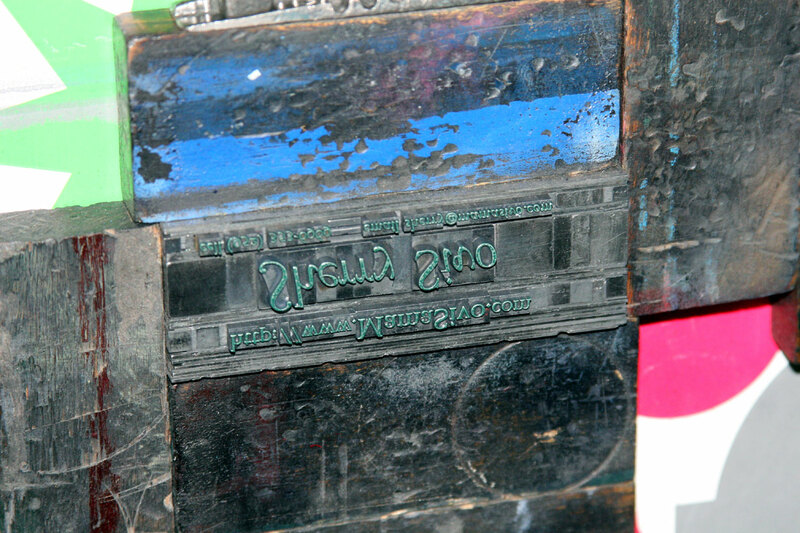 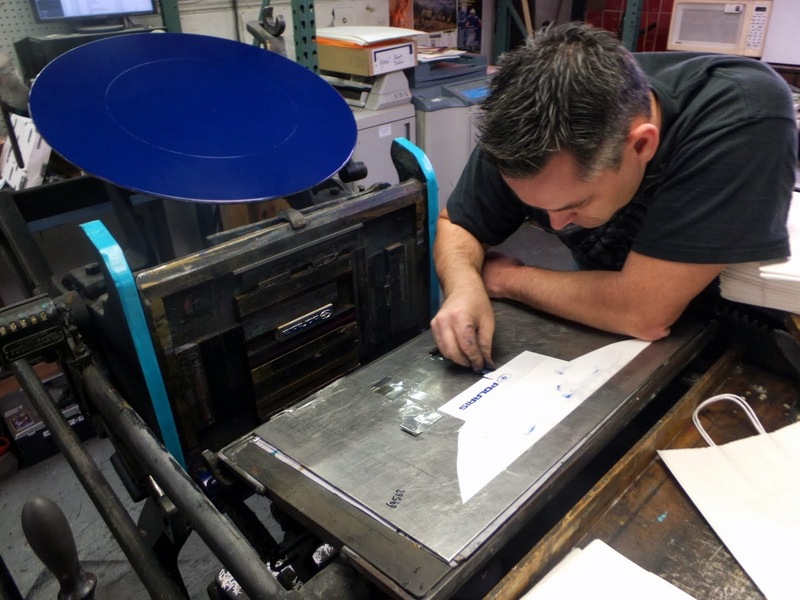 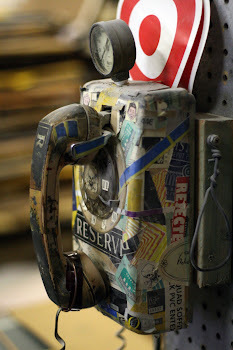 It's a perfect blend of old and new school printing applications.